Not too long ago I came across a blog that summarized the “18 Biggest Problems with Modern Medicine”. Although this is a useful list, it occurred to me that these problems could be compressed into about 9 underlying themes. Below I am describing the same type of problems regarding modern medicine in a somewhat abbreviated fashion. 1. The patient is seen as a complicated machine with parts that could break down. When there is a breakdown of the machinery, symptoms develop, which are quickly fixed with a patented medicine, but without really addressing the underlying problem. This type of approach soothes pain, but changes nothing for a chronic illness like MS. Nobody has all the answers to this complicated illness, but we know that it is an autoimmune disease. So it makes sense to avoid foods that could make the patient worse. This is exactly what Dr. Terry Wahls is describing in her YouTube video. Also, vitamins and supplements for multiple sclerosis that support the immune system would be useful. Vitamin D3 in high doses, but monitoring blood levels by doing 25-hydroxy vitamin D blood tests from time to time would also be useful. 2. A holistic approach to building up health rather than fixing a clinical problem, which belongs to a disease, is not part of modern medicine. In the past a stomach acid problem was treated with H-2 receptor antagonists like cimetidine or ranitidine. The newer proton pump inhibitors, like omeprazole were added and were supposed to be better in suppressing the acid formation. But they did nothing to cure the ulcer or gastritis problem. The problem often was that chronic stress allowed a bacterium, H.pylori to multiply in the stomach wall causing stomach acid and a burning sensation. This did respond to the antacid medications for a period of time, but came back when the medication was stopped. A simple over the counter licorice compound, called DGL or a simple mastic gum from the health food store can cure the helicobacter infection and cure your peptic ulcer disease without the need for the expensive patented H-2 receptor antagonists or proton pump inhibitors. 3. Everybody with the same disease is treated with the same medical treatment schedule, often agreed on by consensus expert panels. The body’s self-healing capacity or the placebo effect, which is an expression of the same natural healing response, is ignored. Here is a study that was done on patients with irritable bowel syndrome (IBS) on placebo pills. Placebo pills were 24% more effective than the control group who took no pills in controlling symptoms of IBS. Why not utilize this in conventional medicine? 4. The disease is treated, not the patient; numbers from lab tests count, not clinical signs of the physical examination. What used to be called the “art of medicine” has been abandoned. The art of medicine is important to establish a rapport with the patient, but also to pick up silent features during the examination that may otherwise be overlooked. 5. 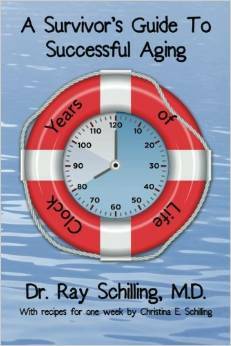 Diet, lifestyle, hormone changes (due to chronic stress and older age) are all ignored. If there are the hormone changes of menopause or andropause, only synthetic hormones are given and only for a limited time not exceeding 5 years. Bioidentical hormone replacement invokes butterfly feelings in the physician’s stomach and must therefore be rejected. It’s almost a knee-jerk response. The reason for that is the fear that bioidentical hormones would have the same devastating side effects as the synthetic hormones. However, this is a fallacy, as a young person with fully functioning natural hormones will not come down with nefarious side effects of strokes, heart attacks or cancer. This link to Dr. Lee’s website explains why bioidentical hormones fit the hormone receptors better than the synthetic concoctions. 6. The thought that the body may have been exposed to toxins (like heavy metals, xenoestrogens etc.) 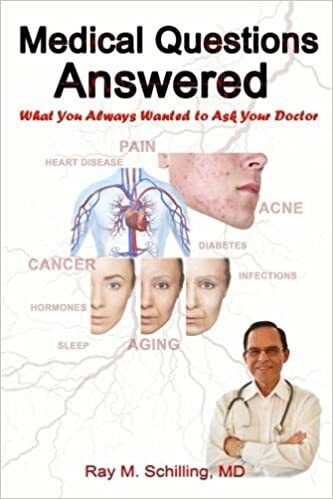 from the environment that are taken up and stored in the body like a sponge and should be detoxified from time to time is foreign thinking to modern medicine except for a small group of dedicated physicians and naturopaths who offer various forms of chelation therapy. The TART trial has shown that there was a 18% reduction of heart attack rate in the group that received 40 chelation therapy treatments. Chelation therapy can easily be combined with traditional treatment methods, but mostly his option is ignored. 7. Similarly the idea that supplements and vitamins would be essential to support the body in the fight against free radicals that form inside the body every day is not something every doctor will feel comfortable in recommending. In Ref. 1 (chapter 8) I have cited evidence from a clinical trial that multivitamins elongate telomeres by 5.1% and add 9.8 years of productive life in those who take multivitamins over a long period of time versus those who do not. 8. In the health care industry we are still working in a hierarchical system where the doctor is on top and the patient is on a lower level and dependent. 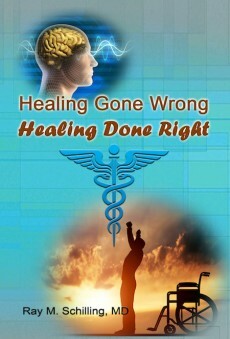 In the future medical system the doctor and the patient are equal partners who try to solve a health problem as a team. The doctor may have more experience in diagnosing, prescribing and monitoring health problems, but the patient is the one who owns the problem and is encouraged to comply with the prescribed treatment and to report back to the doctor, if there are new symptoms that may lead the doctor to new insights resulting in improving the treatment plan. 9. Big Pharma influences doctors to prescribe their patented medicines. New drugs and old drugs are sold like the latest invention against the dreaded disease XYZ (you can fill in whatever the diagnosis is). But none of these drugs is effective against a hormone disbalance, stress, a lack of sleep, lack of exercise or malnutrition. The patient’s co-operation is needed to work on these issues. I have explained in Ref.1 that the metabolic syndrome, which is responsible for much of our modern diseases (diabetes, heart attacks, arthritis, strokes, cancers, Alzheimer’s disease) can be overcome by a combination of steps: paying attention to our food intake, cutting out sugar and high glycemic starchy foods and excessive fats. Regular exercise will help you to build up and maintain muscle mass and at the same time to melt in excessive fat. Yoga, self-hypnosis, meditation and prayer can remedy stress. Bioidentical hormones can replace any hormone deficiencies. Detoxification, vitamins and supplements complete this program, which allows you to successfully age without disabilities. All these steps taken together allow your body to recover and find a new balance where drugs are rarely needed. The reason Medicare is so expensive is that life style issues are not often addressed. By only treating symptoms the underlying causes of an illness are not removed. This means that the illness will not be cured. Take for instance heart attacks. If you want to go down the road from angina to heart attack to bypass surgery or stents, you will soon run out of options. The next level of curative medicine approach is a heart transplant after heart attack number 4 or 5. Comprehensive medicine would approach this differently by paying attention to what you eat and motivate you to cut out starchy foods, wheat, and sugar. This would address obesity, which is a problem in many Western countries. You would engage in regular physical exercise. Stress would be overcome in yoga classes or self-hypnosis sessions. Bioidentical hormones would replace your missing hormones based on saliva hormone tests or blood test samples. The heart muscle that has a lot of testosterone receptors would respond to this. As mentioned above a series of chelation treatments to remove heavy metals could also be offered in this combined, comprehensive heart attack prevention program with a reduction of 18% of heart attacks. This all is available now, but regrettably few people make use of it.